Last winter, about a month after we moved in, our washing machine died mid-cycle. It was quite eventful to watch. Within a few days we had a brand new one and within a few weeks we were getting brown rust spots all over our clothes. We had to throw out a ton of clothes. Some were salvageable because the marks were on the inside. Months this went on for. But we couldn’t find the source. We started to think it was something in the water. I started to wash our clothes in pillow cases so that the marks might only come off on the pillow case. Yep, that’s right. 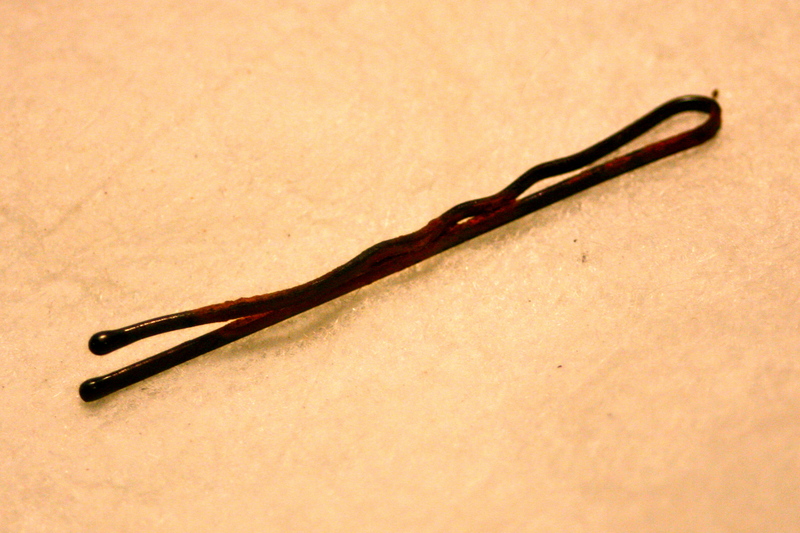 A rusty bobby pin that Al pulled from the washer. It was the culprit of all the ruined clothes, the days and hours of trying to prevent the marks. All the ruined pillow cases. He found it lodged in the rubber seal (it’s a front loader) where the door closes. I then went and pulled the whole seal apart and it was filled with rusty water. I was 1. shocked, 2. pissed and 3. guilty. I soaked up all the rusty water and then with a vinegar and water mixture I scrubbed and scrubbed until the rubber wasn’t discolored any more. I didn’t want to use any type of cleaner for fear it would ruin or bleach the clothes that we did have left. So I went the vinegar route. I was completely guilty. All the lost clothes were my fault! I ALWAYS take bobby pins out of my hair and stick them in my back pocket. Well, I used to, I don’t anymore. 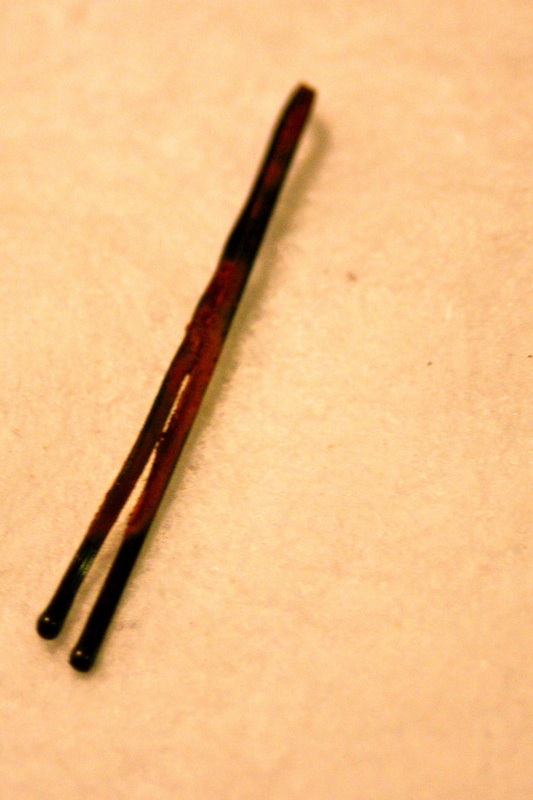 Anyway, long post about a rusty bobby pin. Point is check your pockets and don’t send bobby pins through the wash, they will indeed ruin your wardrobe!